Posted on 19th August 2016 at 6:39 pm. 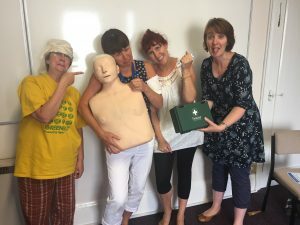 Ann, Jo, Amanda and Carol recently successfully completed Emergency First Aid at Work course. Thanks to Phil from PJB Training Ltd.
Here’s the after and before photos!